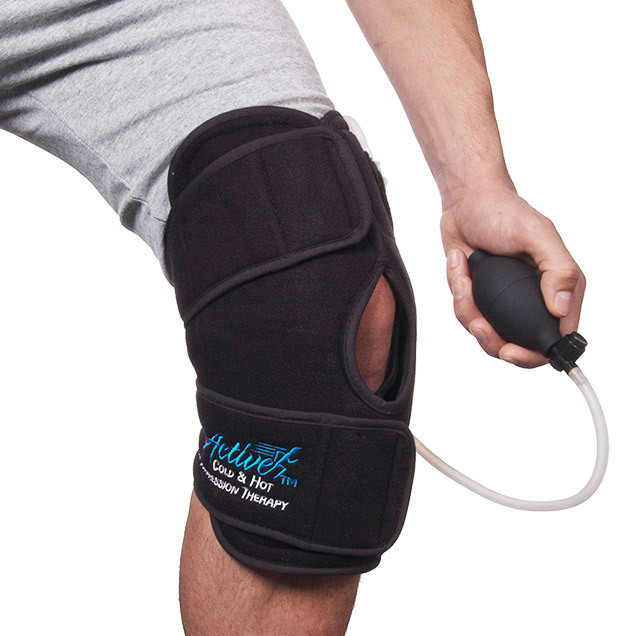 Designed to provide knee pain relief to all 4 areas of your knee. The adjustable straps and compression pump allow you to apply specific pressure to each of these areas. Precise anatomical fitting allows you to walk during treatment. Indications: Ligament injuries and strains (ACL, PCL, MCL), meniscus strain or injury, patella tendonitis, chondromalacia, bursitis, arthritis, Post-Surgery Treatment. Designed to easily adjust to either your left or right wrist. The compression pump supports and applies pressure unlike conventional wraps. Thumb loop enhances the ease of fitting. Indications: Wrist strains and sprains, carpal tunnel syndrome, arthritis, tendonitis, hand injuries. Strap conveniently adjusts in the front, allowing customized fit. The compression pump secures the gel pack to your lower back, providing a deep, high quality cold or hot treatment. The compression also provides anatomical support to your lower back providing additional lower back pain relief. Additional Use: The Back Support can be used without the Gel Pack as a traditional anatomical lumbar support. It can be used during regular activities. Individually designed for the left shoulder to maximize fit and effectiveness. 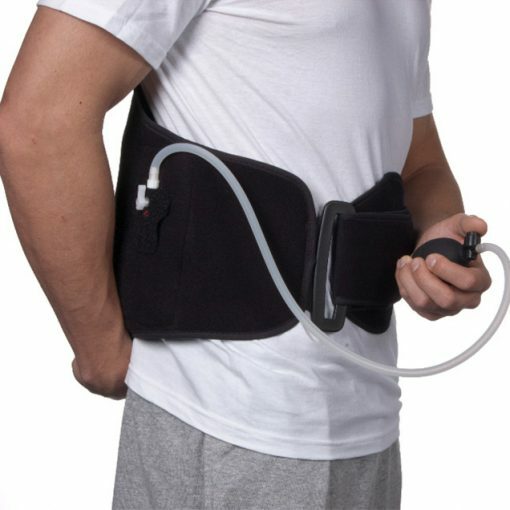 The body strap allows you to easily move and walk while during treatment. 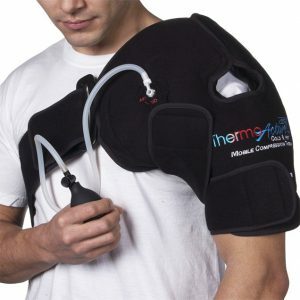 The circumferential compression secures the gel pack to your entire shoulder area, which typically is very difficult to fit with just a wrap. 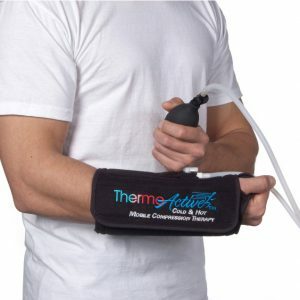 Additional Uses: Prior to exercising, a 5-10 minute heat therapy treatment will help loosen stiff shoulder areas.